With a stuttering Euro 2016 qualifying campaign Matthew Amalfitano suggests a new tactical format for Italy. With their poor early season form Matthew Amalfitano discusses Napoli’s struggling Argentine striker. Matthew Amalfitano looks at how the Azzurri have evolved since Antonio Conte was given the job after the World Cup. Matthew Amalfitano analyses the key tactics from Roma’s draw with Manchester City in the Champions League. What’s going wrong at Napoli? Matthew Amalfitano investigates who’s to blame for the poor form for Partenopei. Matthew Amalfitano discusses Napoli’s win over Czech opponents in the Europa League on Thursday night. Not everything is rosy in the Napoli garden on the eve of a new campaign, writes Matthew Amalfitano. Matthew Amalfitano looks at why Napoli’s relationship with hometown hero Lorenzo Insigne is on the brink of collapse. 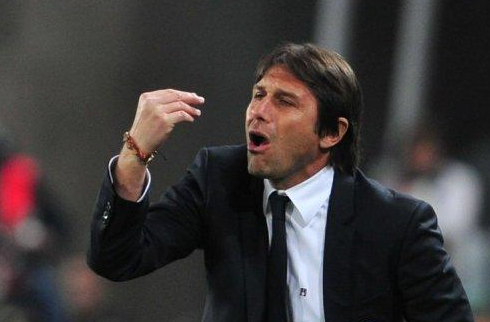 Matthew Amalfitano discusses Antonio Conte’s recent appointment as the new Italian manager.